Well, here we are at the final segment of today’s extensive column devoted to black and blackened metal. If you’re still with me, I applaud your perseverance and endurance. I’m sure the bands would applaud, too, since I’m about to shower three more with praise. And of course I fervently hope that you’ve found some exciting new discoveries along the way. I’m now turning to the first of three bands who’ve pleasingly seized my attention in the past. This one is the Swedish group Vananidr, whose 2018 debut album I briefly reviewed in another one of these Sunday columns (here). Vananidr is essentially a solo project of Anders Eriksson (on the album, he was aided by Karl Thunander for the drum performance). 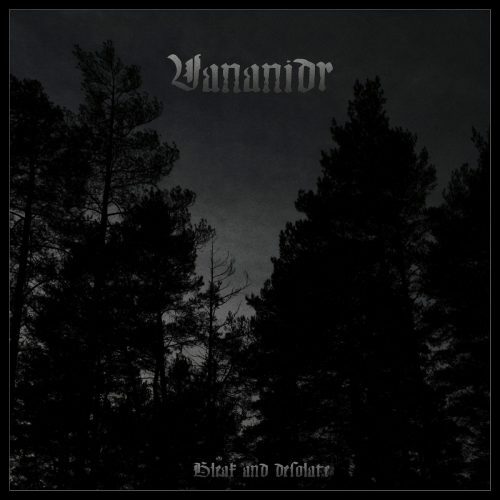 On January 11, Vananidr released a new two-track single entitled Bleak and Desolate. True to its name, the single’s title track is slow and oppressive — heavy, groaning, and gradually fracturing, the twisting splits manifested through eerie melody. But that’s only how the song begins, and the introductory segment will in no way prepare you for the absolutely extravagant and unhinged explosion of sound that arrives without warning. Yet even that shuddering display of savagery is only the second of many changes that the song encompasses. It ‘s also brutally jolting, and it soars in feverish flights of spectacular incandescence. The mid-paced opening to the second track, ”Beneath the Glimmering Surface”, is also gloomy, and steeped in tension-torquing agony. The harmonized guitar melody is nonetheless very alluring, creating an uneasy spell — but a spell nonetheless. A rising, rippling lead helps push the music to greater and greater heights of glorious but grievous intensity, augmented by a surging rhythm section (and of course by the flensing and frightening sounds of Eriksson‘s voice). But, as in the case of the title track, this one continues to change, with a guitar solo at the crescendo that’s epic. I’m not sure where Vananidr plans to go after this single, but whether more short releases or another album is in the works, it’s going to be well worth the wait to find out. If you’re a persistent lurker at our site on Sundays, you will have seen the name Raat multiple times before. 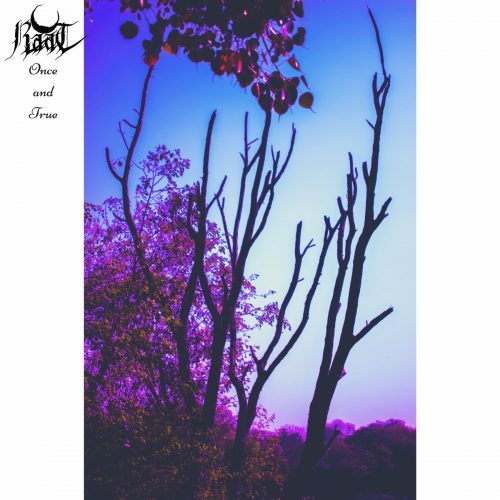 And if you’re not, Raat is the solo project of Sushant Rawat (aka Nium) from New Delhi, India, who is also the man behind the experimental black/doom project Nightgrave, about whom I’ve also written frequently. 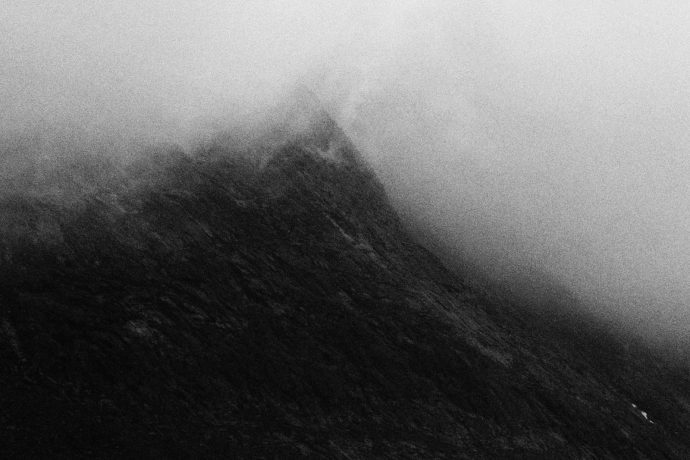 Raat’s newest release, which emerged on January 18th, is a four-track EP named Once and True. As is true of all the heavy music Rawat has created (though he doesn’t limit himself to that, as you’ll discover in the video for a haunting and hypnotic acoustic guitar and piano piece here), these four multi-textured new songs obey no genre boundaries, they are emotionally evocative (unusually so), and they’re produced with both clarity and power. I suppose you could say the music wears its creator’s heart on its sleeves. There’s romance and heartbreak in these sounds, wistfulness and glistening beauty, cauterizing wretchedness in the vocals and pulse-seizing strength in the constantly changing rhythms, raking abrasion in the riffs and ringing reverberation in the leads, a few moody clean vocals and creepy crocodilian sounds. I find an almost dreamlike quality to the trip through this EP, which is both depressive and bright, and always memorable, and which probably won’t appeal to the grymm and kvlt tastes most of you harbor (there really aren’t many moments of traditional black metal here). For those looking for something grim, the closing track is the heaviest, darkest, and most emotionally devastating of the four; in retrospect, the EP as a whole seems like a progressive descent into darkness, and hits bottom at this point. But I’m left enthralled by everything here. 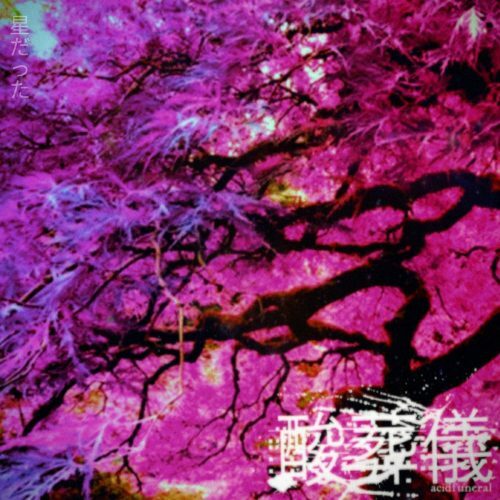 As I was running down my near-endless list of music I might consider for recognition in this column, I literally smacked my head when I scrolled down far enough to see the name 酸葬儀 acidfuneral — because I meant to find a place for their latest release months ago. Better (very) late than never, I hope. This latest effort, 星だった you were the stars, was released on October 27 of last year by the consortium of Swampkult Productions (NZ), Pattern Recognition Records (U.S.), and The Goldstein Sound (U.S.). Since I first encountered and wrote about the work of this group last May, they’ve remained anonymous, though still seem to be based in Urbana, Illinois. “i can feel the stars- and they feel like home…” is the dictum that accompanies this new release on Bandcamp, but if you’re expecting something persistently sparkling and pretty, or shrouded in the sounds of cosmic mysticism, think again. There is indeed an otherworldly quality to the leads that spiral and twist through the music here and there (and in some of the ambient segments), but the guttural growling and roaring vocals are ugly and bestial, and there’s a murky lo-fi quality to the sound that enhances the feeling that we’re often wading in filth, surrounded by slavering animals — even if we might catch fleeting glimpses of something wondrous through the hostile gloom. One of the reasons I’ve become a big fan of this recording is that it’s surprising as well as toxic. Perhaps the biggest surprise is waiting within the third track, “リービング leaving”, which seamlessly segues from a wretched, gloom-drenched dirge into a beguiling instrumental which sounds as if it was performed on a medieval stringed instrument — before the music oozes misery once again. And while the riffs (and the massive bass presence) are heavily dosed with corrosive distortion, there’s a beautiful, astral quality about the ambient tones of the fifth track. The surprises go in other directions, too, such as the melding of crushing/suffocating oppressiveness and freakishly delirious fretwork in the sixth track, and the nightmarish drift through the title track, which closes the record. I don’t expect this to appeal to everyone, but I found it fascinating and unsettling, and perversely addictive. The person behind Acidfuneral is a toxic human being who has threatened to hurt people in our scene and uses self harm as a way to manipulate people. The person deserves no recognition because the person is a psycho path.